Do You Want to Know How to Buy a Short Sale? Many buyers want to buy Eagle Mountain Utah short sales. Unlike in a foreclosure, the bank does not own the property in a short sale. However, because the bank must approve the sale (because it is the lender, not the seller, who will be taking a loss on the property) it will seem like the buyer is purchasing the property from the bank. Short sale transactions, however, can be much more time-consuming and patience-testing than bank foreclosures. If you are patient you will be able to find and purchase a Eagle Mountain Utah Short Sale. 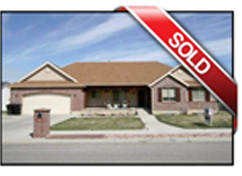 Paul Teasdale of Team Teasdale Realty has sold hundreds of short sales in Utah County. Paul knows how to find and purchase a Eagle Mountain short sale for you. The contract should also state that the property is being purchased "as-is". While it is acceptable to include language in the contract that allows you to back out of the deal if an inspection reveals considerable problems, in general, you should not expect the bank to lower the price to account for repairs if any problems are revealed. The bank is also unlikely to make any repairs, and the seller, being strapped for cash, is probably even less likely to help out. It is best to negotiate a purchase on a short sale in Eagle Mountain with the home as-is. Don't expect the bank or the seller to make any repairs they neither party likely will. Buying a Short Sale in Eagle Mountain can be challenging. There are many short sales in Eagle Mountain Utah. Buying a short sale is like almost like buying any other piece of real estate. Getting a short sale approved is the challenge with a short sale. Here are some things to note if you are considering buying a short sale home in Eagle Mountain, Utah. Don’t expect the seller to make any repairs to the home. Seller’s don’t have the money, interest or time to do a repair on their short sale. In a traditional short sale, repairs are negotiated between the buyer and seller. In a short sale, the owner will not make any money on the sale. Hence, they are going to be completely reluctant to spend money on repairs. Plus, the owners are typically in financial distress and simply have no money for repairs. On some rare occasions I have been able to get a seller to do repairs but it is very rare. If you make an offer on a Eagle Mountain Utah short sale property, be prepared to wait. Paul has seen short sales in Utah County take between 1-25 months to be approved. The average time for a short sale to be approved in Utah County is probably 4-6 months. Many agents may claim a quick 2-3 months but this is a best case scenario. Banks are notorious for taking as long as several months to respond to short sale offers. Remember, there is no guarantee that the short sale will go through so be patient. Paul will take the time to explain the short sale process every step of the way. Not all banks will approve the listed price on a Eagle Mountain Utah short sale. Realtors list short sales at a price that they think will generate a bunch of offers. The first accepted offer is signed by the buyer and promptly brought to the bank or lenders of the property. In some cases there is more than one lien outstanding on the home. These liens are often called first and second position liens. If a first will not cooperate the second is stuck and there will be no sale. The bank typically takes several months to review the offer and make a decision. This process has slightly speeded up in the past few years. In a few cases I have seen this process go within a fews. This is more of an exception than the rule. I have listed short sales and had the fastest close in 62 days and the longest 25 months. The banks don’t care about your personal situation. Selling a home is a very emotional experience – for real people. Banks are not real people. They have zero emotional investment in a home. It is all about their spreadsheet. All they care about is their bottom line. It means nothing to them that you have a moving trailer waiting in the driveway and want the keys. They don’t care. Keep in mind the reps working on the short sale are minions for the bank and make on average $14 an hour to process the short sale. You may make an offer, wait weeks for a response, only to find out someone submitted an offer after you for a thousand dollars more and your offer is dumped at the last minute. It happens. Banks play by their own rules and change them too. It reminds me of playing monopoly with my brothers and sisters when I was a kid. I swear they would change the rules half way thru the game when I was winning. Hmm, thinking back perhaps I changed the rules. Team Teasdale Realty would love to help you get a great deal on a short sale in Eagle Mountain Utah. Contact us today and let’s get started.